Leveraging technologies like AI and machine learning will help intensify the fight against cyber security breaches, say experts. The use of artificial intelligence (AI) and cognitive intelligence is being used to transform cyber security and aid security analysts' identity threats more accurately. This is word from global firm IBM, which released results this week from an online survey of 150 federal IT managers familiar with their department's current cyber security capabilities and future strategies. Titled "The Federal Cyber AI IQ Test," the survey found that federal IT managers see cyber security as the single biggest opportunity for AI in the federal government. "Only 21% say they are 'very comfortable' with the idea of using AI for cyber security today. Feds are roughly split regarding the ideal adoption pace for AI - 46% want to be first, 48% are afraid to take the risk. "Meanwhile 90% of Feds say AI could help prepare agencies for real-world cyber-attack scenarios and 87% say it would improve the efficiency of the federal cyber security workforce. A further 91% say their agency could utilise AI to monitor human activity and deter insider threats, including detecting suspicious elements and large amounts of data being downloaded, and analysing risky user behaviour." The survey further indicated that candidates felt that AI could help detect an average of 44% of cyber security breaches or hacking attempts by 2023. IBM - whose Watson suite of AI technologies has become the front-runner of intelligent systems - also added that the integration of machine and humans intelligence can enable companies to find threats faster and more accurately than before. In a blog, program director of IBM Watson for cyber security, George Mina, stated that: "On average a security analyst reviews 10 to 20 high-risk security incidents in a day. Of these threats only a few may be an actual threat that needs to be escalated for resolution, while most others are non-malicious. But this job can take hours and the research and identification of threats delays the analysts' ability to quickly eliminate the threat. Now, cyber security analysts can delegate the tedious and time-consuming task of threat research to AI technology." Nicolas Reys, associate director and head of control risks' cyber threat intelligence team at local global risk consultancy Control Risk, also believes AI has a great role to play in curbing cyber threats. 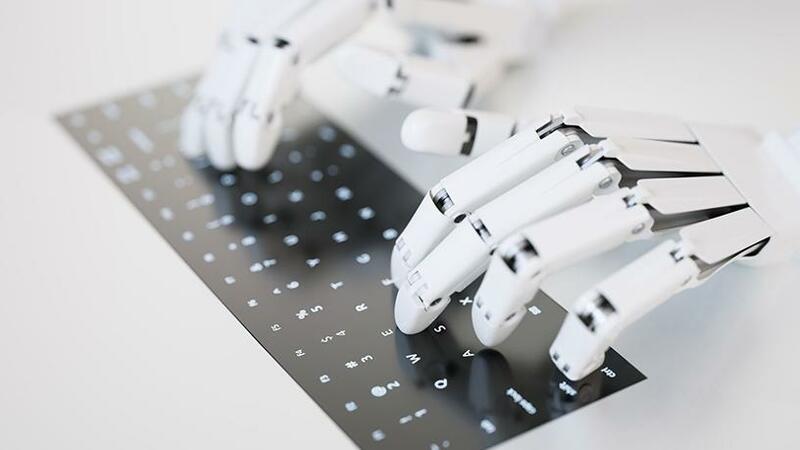 "More and more organisations are beginning to employ machine learning and artificial intelligence as part of their defences against cyber threats. Cyber threat actors are recognising the need to advance their skills to keep up with this development. One application could be to use deep learning algorithms to improve the effectiveness of their attacks. This shows that AI and its subsets will play a larger role in facilitating cyber attacks in the near future," he said. Simeon Tassev, MD of Galix Networking, highlights that given the shortage of cyber-security skills in SA, leveraging such technologies will prove to be beneficial. "South Africa is facing a shortage of cyber security skills - and we are not alone. The reality is that security skills that are not constantly refreshed are outdated within a year. Companies need to invest in technology and their people, [they need to] put in place the tools such as AI and analytics needed to identify, collect and analyse data quickly, and act to address issues. "Companies must also invest in growing security skills in SA - invest in broad ICT education to grow a pool of security skills with strong ICT foundations that can go on to specialise as they advance in their careers. To participate in the global digital economy, South African businesses must demonstrate their ability to secure their systems and their customers' data. This will become increasingly important as artificial intelligence, virtual reality and other new technologies continue to emerge."